Windows Ink, sometimes referred to a Microsoft Ink or Pen & Windows Ink, lets you use a digital pen (or your finger) to write and draw on your computer screen. 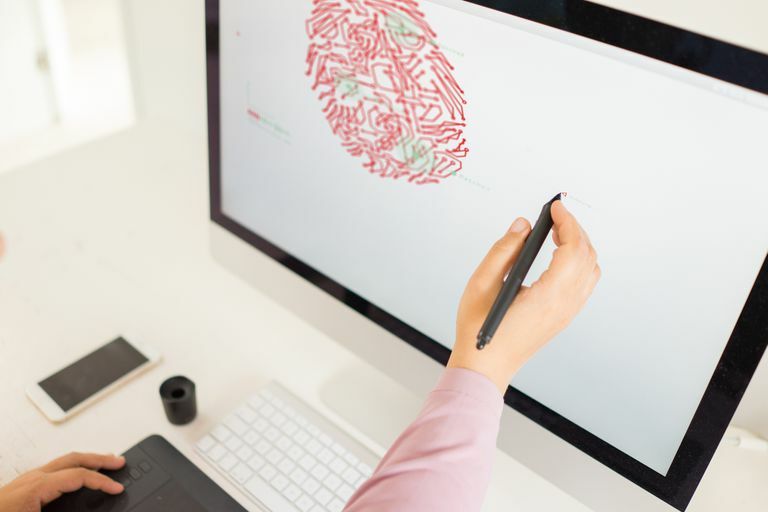 You can do more than just doodle though; you can also edit text, write Sticky Notes, and, capture a screenshot of your desktop, mark it up, crop it, and then share what you’ve created. There’s also an option to use Windows Ink from the Lock screen so you can use the feature even if you aren’t logged in to your device. Enable Pen & Windows Ink. To use Windows Ink, you’ll need a newer touch screen device running the latest version of Windows 10. This can be a desktop computer, laptop, or tablet. Windows Ink seems to be the most popular among tablet users right now because of the devices’ portability and maneuverability, but any compatible device will work. You’ll also need to enable the feature. You do this from Start > Settings > Devices > Pen & Windows Ink. Two options let you enable Windows Ink and/or the Windows Ink Workspace. The Workspace includes access to Sticky Notes, Sketchpad, and Screen Sketch applications and is accessible from the Taskbar on the right side. Windows Ink is enabled by default on newer Microsoft Surface devices. To access the built-in apps that come with Windows Ink, simply tap or click the Windows Ink Workspace icon on the right end of the Taskbar. It looks like a digital pen. This opens the sidebar you see here. There are three options, Sketch Pad (to free draw and doodle), Screen Sketch (to draw on the screen), and Sticky Notes (to create a digital note). Click Sketch Pad or Screen Sketch. Click the Trash icon to begin a new sketch. Click or tap a tool from the toolbar like a pen or highlighter. Click the arrow under the tool, if available, to choose a color. Use your finger or compatible pen to draw on the page. Click the Save icon to save your drawing, if desired. To create a Sticky Note, from the sidebar, click Sticky Notes, and then type your note with a physical or on-screen keyboard, or, using a compatible Windows pen. Windows Ink compatible apps in the Store. Windows Ink is compatible with the most popular Microsoft Office apps and enables you to perform tasks in it like deleting or highlighting words in Microsoft Word, writing a math problem and having Windows solve it in OneNote, and even marking up slides in PowerPoint. On the Taskbar, type Store, and click Microsoft Store in the results. In the Store app, type Windows Ink in the Search window. Browse the apps to see what’s available. You’ll learn more about Windows Ink as you start to use it. For now, though, all you need to know is that this feature needs to be enabled, is available from the Taskbar, and can be used with any app that allows for digital markup on a device with a touchscreen. When you start to get apps, make sure they are Windows Ink compatible if you want to use the feature.